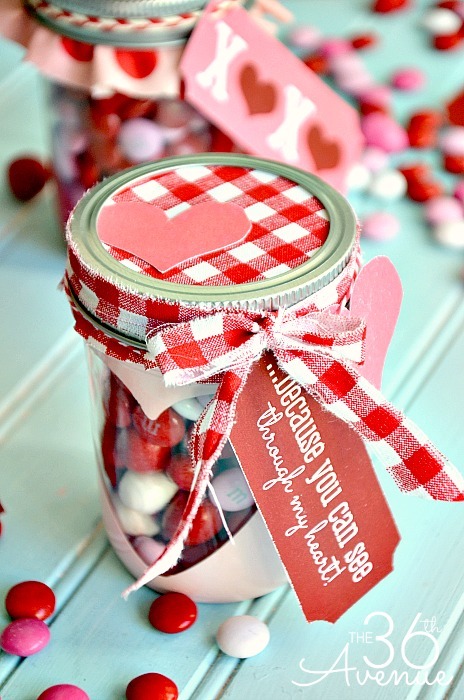 I love easy and quick handmade gift ideas and it is not different when it comes down to Valentine’s Day Gifts. 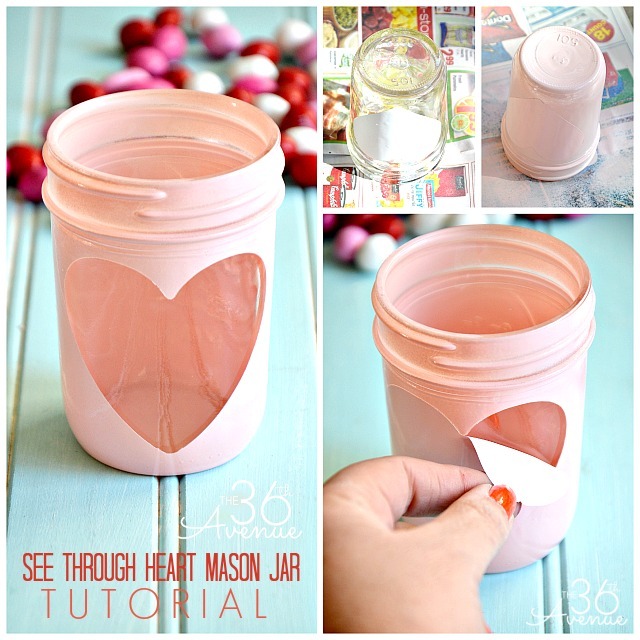 Today I am showing how to make a simple but adorable DIY See Through Heart Jar and I’m sharing some cute Free Valentine Printables that you can use as little tags to give these DIY Valentine Candy Jars their final sweet touch! 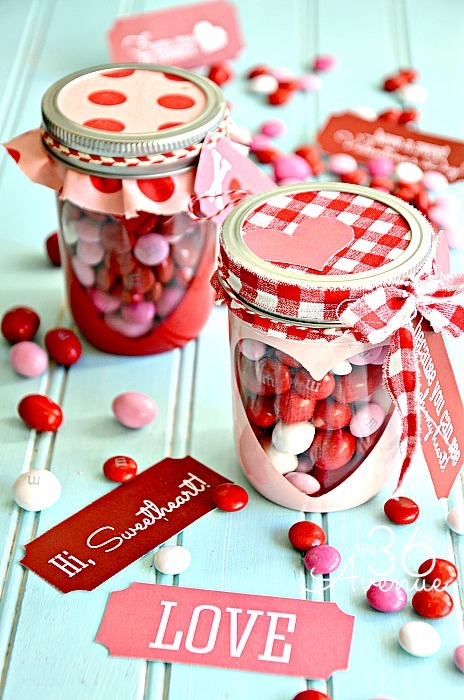 but first let me get back to today’s Valentine’s Day Gift Idea! 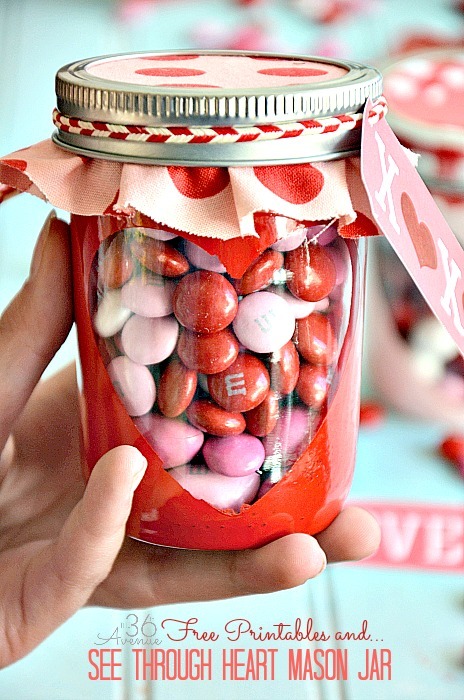 These candy jars are not just super cute BUT you can make them under ten minutes! 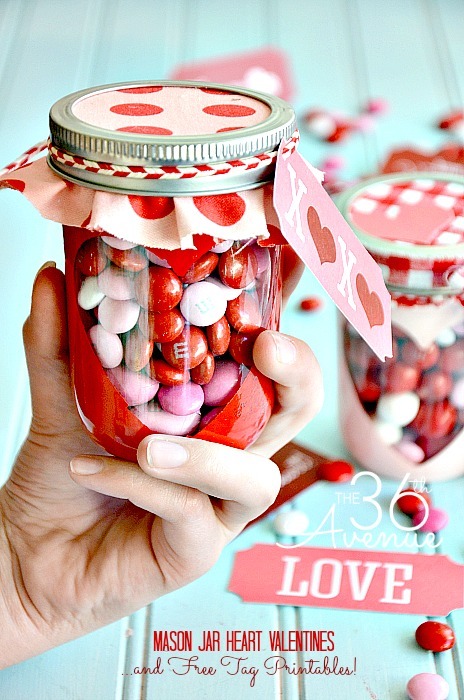 They are perfect for coworkers, friends, classmates, teachers, and of course for your sweetheart! The first thing we are going to do is punch a heart shape on the vinyl. 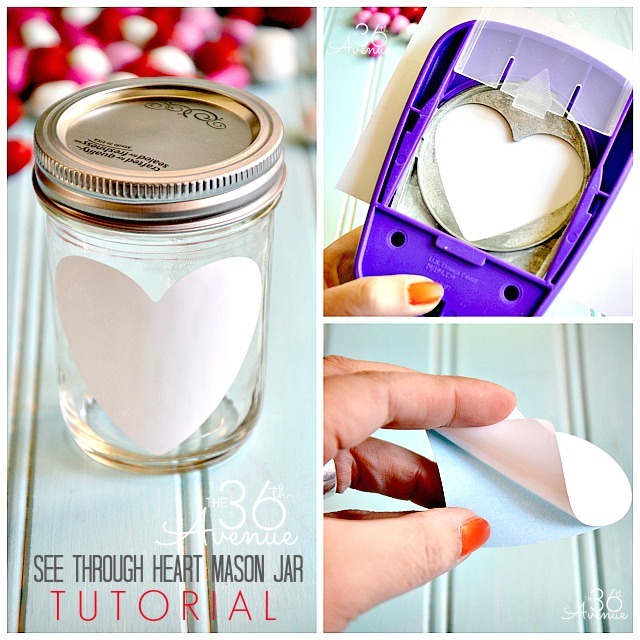 Peel the heart and stick it on the jar. Now take the jar outside, turn it upside down and spray paint it. When you spray paint, it is better to do multiple thin coats. This will prevent the paint from running. 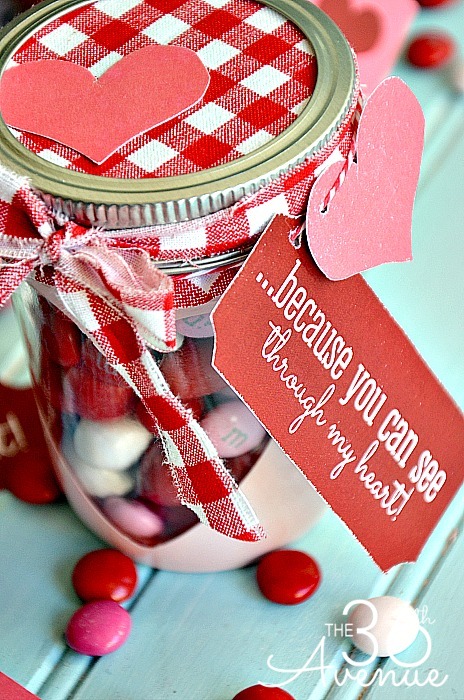 After the jar is dry peel off the heart. 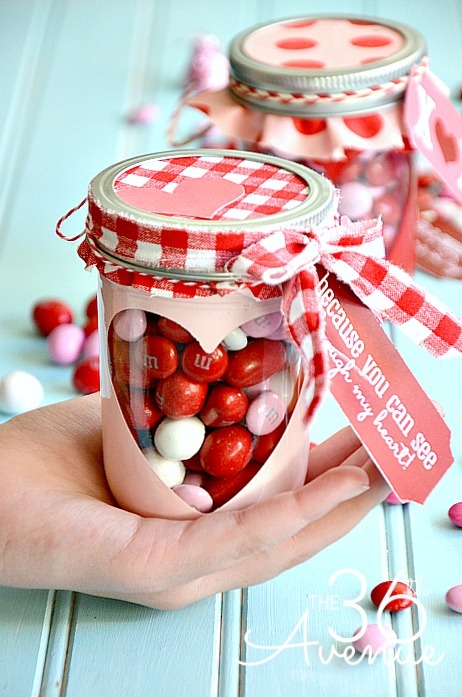 Fill the jar with yummy candy and embellish it. I made the cutest Free Printable Tags to help you with this step! This Free 8×10 Free Printable is meant to be for personal use only. 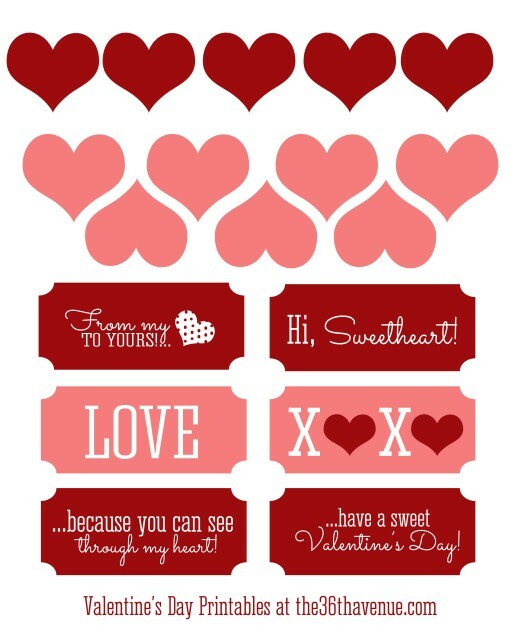 Print and cut the tags and hearts. Use a puncher to make a hole and thread bakers twine through it. Cut enough fabric to cover the lid and tie the printable to the outside of it. 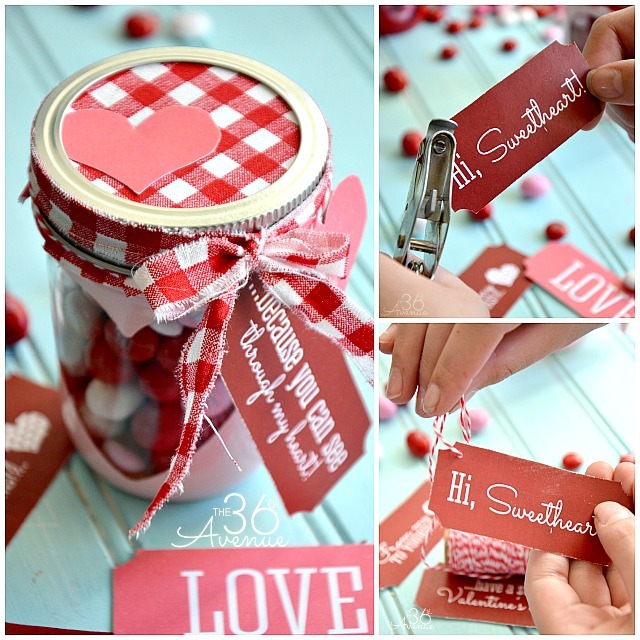 Such an easy and sweet way to show appreciation and love! Now here comes more good news! Can you tell what the vinyl is that you use for the heart shape? Is it contact paper ? Or what! Thanks! Where did you purchase the jars? What size are they? Misty, You can find them at Wal-Mart. They have different sizes there! If you are unable to spray paint the jars, is there another way to do this? Yes, you can use acrylic paint.